Hello Darlings! Although it’s been awhile since I’ve posted any new content; I’ve never stopped trying new products. 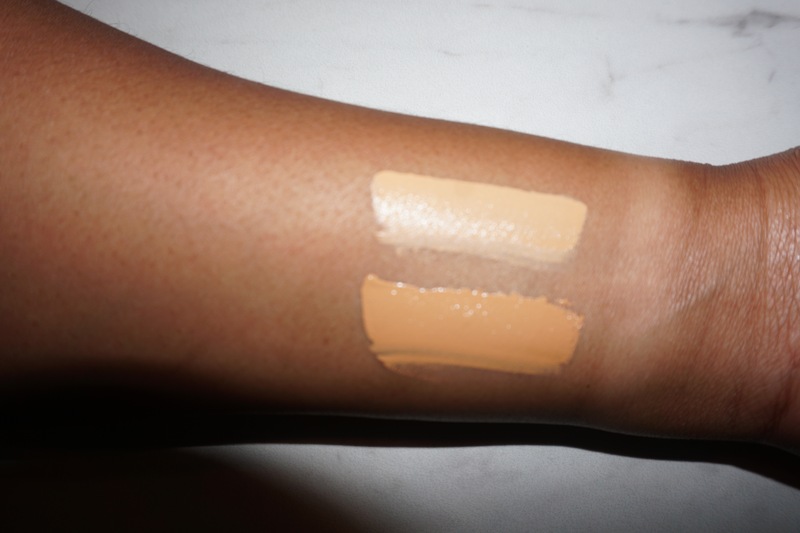 I recently bought ColourPop’s new concealer and decided I’d share my thoughts. Honestly, I do not know what has come over me but I’ve been buying a lot of different concealers. I’ve repurchased some because the ones I had were beyond expired. While others were just on sale and seemed like a great buy. Needless to say this purchase was unnecessary but here we are. ColourPop has been dropping a lot of bangers all summer long and this release was no exception. This concealer was in the works for about two years before it finally released. ColourPop claims it’s formulated with soft blurring pigments which brings it to it’s name “No Filter”. It comes in 15 shades which is a good start but there is still plenty room to expand. I struggled a bit finding the right shades for myself. I bought “Golden 40” and “Tan 50”. I typically only use concealer to highlight therefore, I’d need a lighter shade than my own skin tone. To select my shades I took a color match quiz on ColourPop’s website and I also viewed the pictures of swatches on the site too. Unfortunately, I ended up getting 2 concealers that were way too light- for my liking anyway. Nonetheless I worked with them. Despite the concealer being extremely too light; I do actually like them. They are super lightweight and have a creamy consistency. I didn’t really notice any blurring effects but, I’ve only used them twice. I really do enjoy the wand because it’s super flexible. Also, it’s flat which comfortably allows me to reach all areas under my eyes unlike Shape Tape. This concealer retails for $6 and there is 4g of product in each container. Seriously I do not know how ColourPop creates phenomenal products at such a low cost. I definitely plan on buying more in deeper shades when they come back in stock- which happens to be today! ColourPop will be restocking these concealers along with the “Yes, Please” palette and several other hyped products at 10am PST. So if you are interested in anything of these products I suggest you exit this review and head over to their website now because I am sure items will sell out fast. Thank you so much for reading! Please comment below if you’ve tried these concealers yet and tell me your thoughts.